A Network show that's NOT filmed in-studio? Huh? 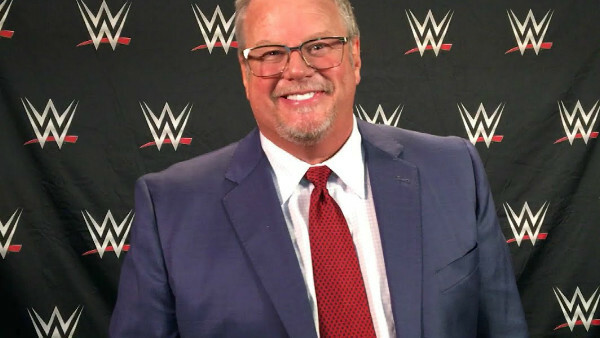 WWE announced during their (lengthy) Hall of Fame 2018 broadcast that Bruce Prichard will head up a new show on the Network starting this year. Prichard had forced his way back into wrestling relevance by co-hosting the 'Something To Wrestle With' podcast alongside good friend Conrad Thompson, and now he's forced his back into Titan Towers. The show currently has excellent listenership and a strong presence on social media, due in no small part to Thompson's entrepreneurial spirit and Prichard's own willingness to candidly discuss what happened backstage during his first 20-year run in WWE. Seriously, if you've never heard Bruce singing "With My Baby Tonight" or do a spot-on Jerry Jarrett/Dusty Rhodes/Randy Savage/Vince McMahon/Pat Patterson impression, then you're missing out. The question on fans' lips must be this: will 'Something Else To Wrestle With' maintain the same renegade spirit, bad language and often-controversial opinion that the regular show does now it's part of the WWE bubble?